It is no secret that independent paper-and-pencil tasks are NOT the way to engage students in the classroom. 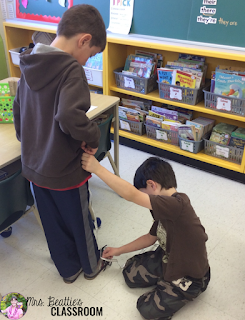 While there is a place for these, in my 18 years of teaching I have learned that the best learning experiences, the most engaging activities, involve movement and communication with others. 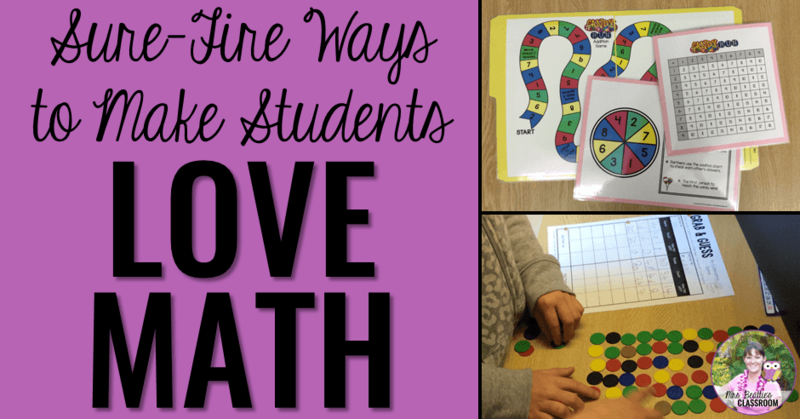 From hands-on tasks with manipulatives to "scooting" around the classroom, here are my favorite ways to make my primary students love math. 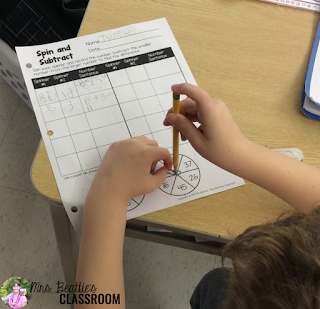 One of the simplest ways to get your students actively engaged with their math activities is to incorporate spinners. 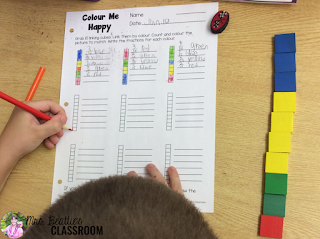 They are a great way to structure practice activities while keeping them fresh and varied. 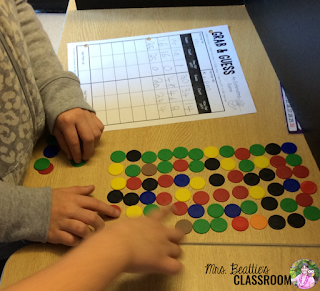 I love that I can have students working with the same set of numbers on a spinner and have everyone doing something unique! 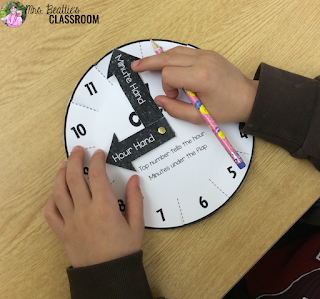 Spinners are also a fun and easy substitute for noisy dice banging around on desks during partner activities! 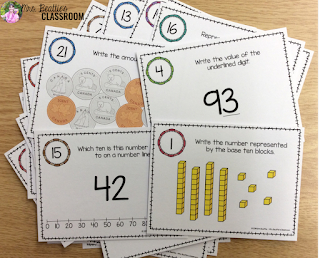 Connecting your students with each other is another sure way to engage them during your math activities! I love having my students working together to solve problems cooperatively or review concepts that we have covered in our whole-group lesson. 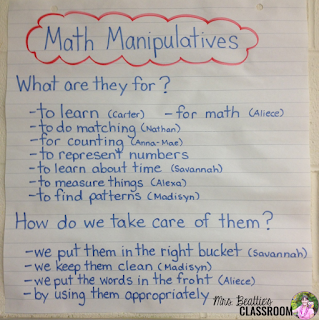 Manipulatives are amazing, WHEN you've taught your students exactly what you expect from them during their use. I spend a great deal of time at the beginning of the year laying out my expectations: math manipulatives are TOOLS not TOYS in my classroom. I give my students plenty of time to just play with them when we're getting started - get it out of their systems, so to speak - but then I believe that (at this age) manipulatives should be seen as tools for solving problems. Once my students know how to use them the possibilities are limitless! Click the image to grab this FREEBIE! 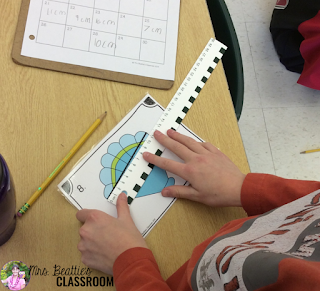 Having students create their own math tools for the classroom is also so powerful! I love giving them this opportunity whenever I can. 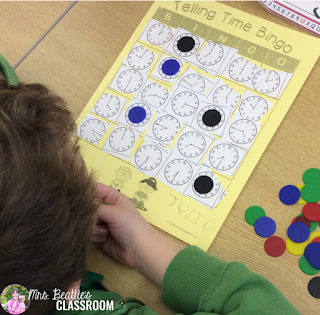 We always have fun with this during our time unit - from making our own clocks to customizing our own Bingo cards, we get the scissors moving! 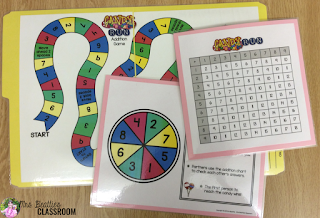 Finally, I absolutely LOVE using scoot games in my classroom. Anyone who has moved to a flexible seating model in their classroom knows that having students sitting in one spot is not great for learning. Even if you're restricted by the use of a particular text book... why not try taking the chapter review, making a photocopy and placing individual questions around the classroom?! Same result, but without students sitting passively at their desk the entire time! I have created a ton of Scoot games that I come back to year after year. 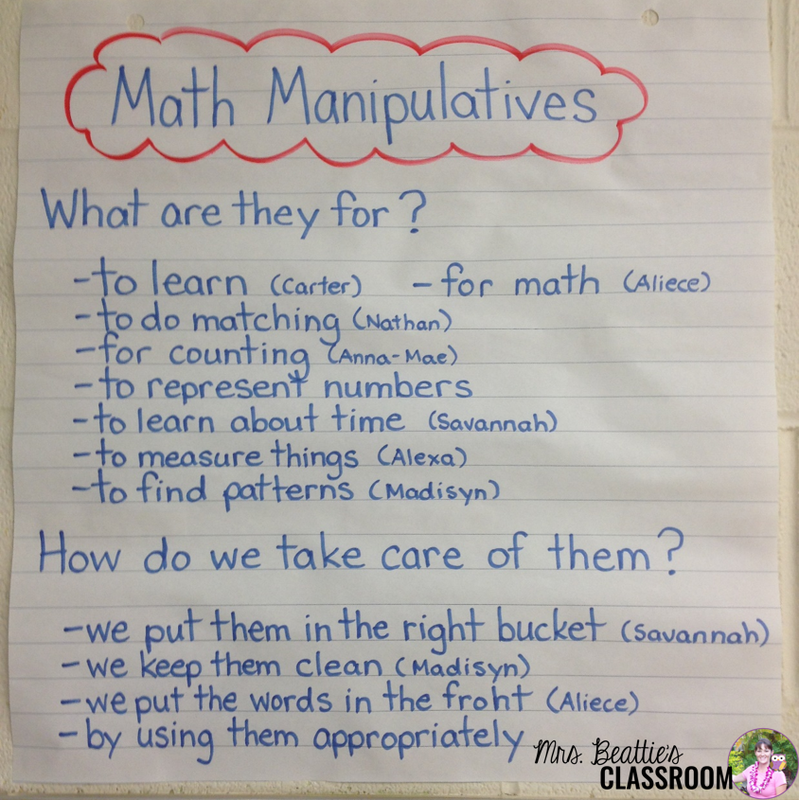 I hope that you're feeling inspired to get your students' hands ON some authentic math activities! Thanks to Zip-A-Dee-Doo-Dah Designs, Creative Clips & Whimsy Workshop for the heading images!